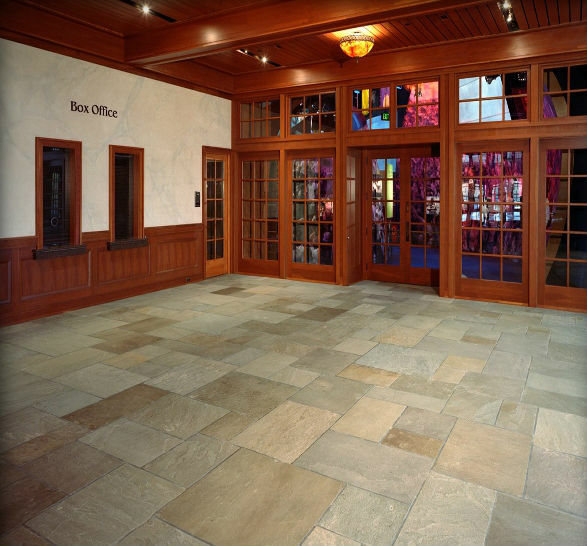 Product categories Natural Cleft Full Color Archive - Johnston & Rhodes Bluestone Co.
Natural cleft bluestone is available in a full range of color. 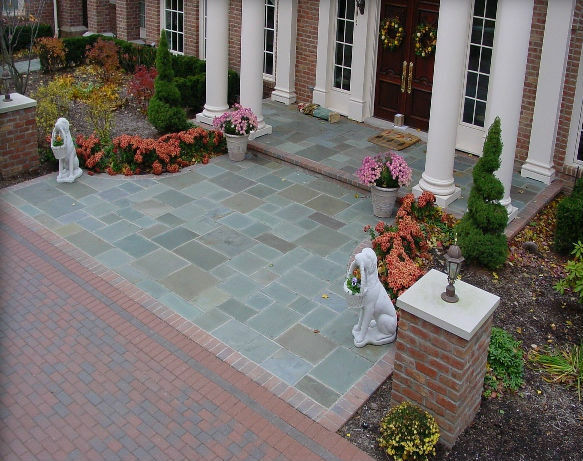 The material is primarily used for paving, patios, decking, flooring, driveways, and walkways. It is available in multiple pattern squares and rectangles, 1 ft. x 1 ft. up to 4 ft. x 4 ft., and in irregular (broken) flagging from 1.5 sq./ft. and up. 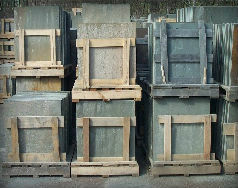 Standard thicknesses are 5/8”, 1”, 1.5”, and 2”. 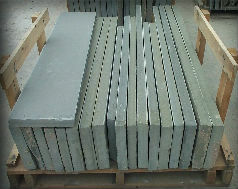 Standard treads are also available in natural cleft. 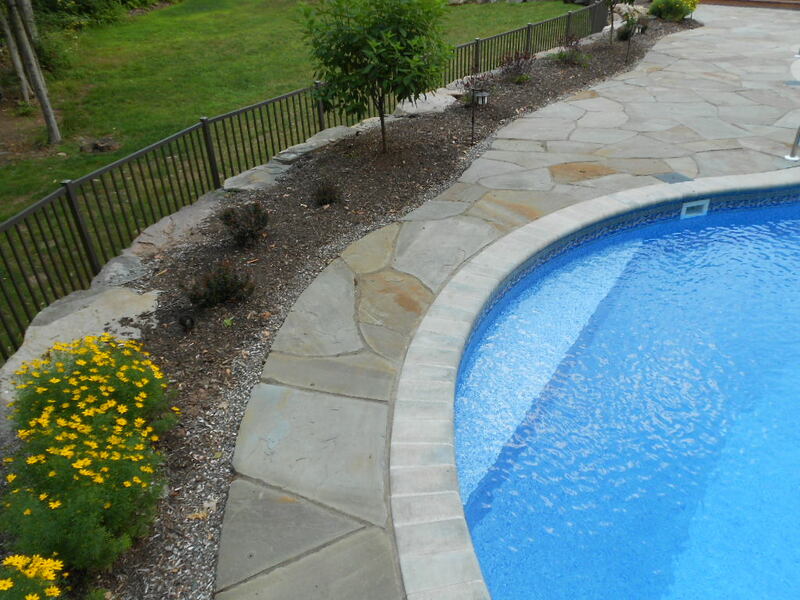 Widths are 12”, 14”, 16”, 18”, 20”, 24”, with lengths ranging from 3 ft. to 8 ft. Typical thicknesses are 1.5” and 2”, but can be heavier. 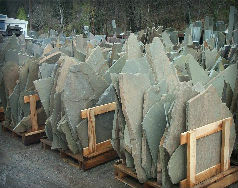 They are generally used for steps, hearths, or copings. Contact us with your needs. 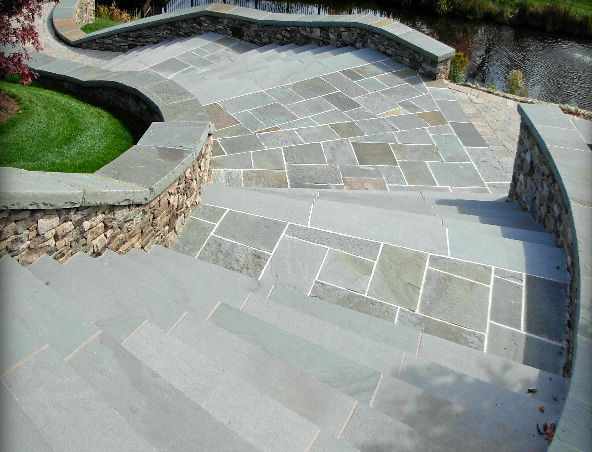 We maintain a substantial inventory of natural cleft rough slabs in a variety of sizes and thicknesses for custom cutting steps, coping, risers, sills, capstones, curbings, and landings. Copyright ©2019 Johnston & Rhodes Bluestone Co.